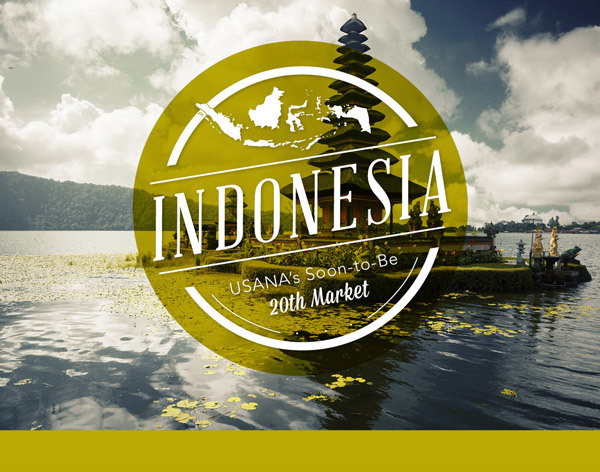 USANA opened for business in Indonesia on November 16th, 2015. To join USANA Indonesia, please click here, or read on for more information about joining our Larsen Global Indonesian team. USANA will make a difference in tens of thousands of lives in Indonesia. To learn more about us and our team, please view this short video clip – a peek into our lives. If you love living your dreams while helping others do the same and if you’re open to transformation and creating abundance in all areas of your life, please contact us immediately at: info@larsenglobal.com. We will get back to you so we can discuss the possibilities of partnering with you in Indonesia. 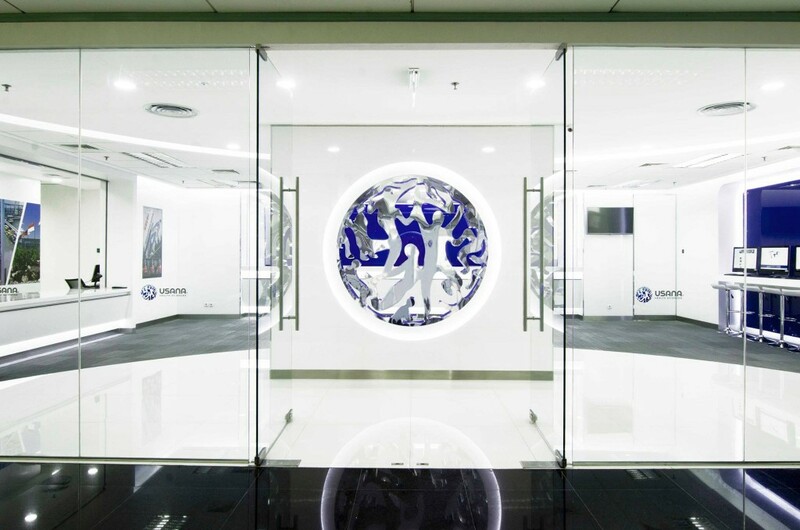 Because we believe there is incredible potential in Indonesia, particularly due to Indonesia’s long direct-selling history with nutritional supplements and skin-care products, it is clear USANA will be a perfect fit. Over the past twenty years, Larsen Global has been instrumental in opening several of USANA’s international markets and we will be participating aggressively in the launch in Indonesia. Credibility – you will be partnering with the most successful distributorship in the history of USANA. Global team – you will be a part of a close-knit team with a global reach. Support – you will receive the help and support of worldwide leaders in USANA as well as regional and local leaders that will be available to train and assist you on your road to success with USANA. We offer live training sessions via webcast that will help you build globally. Perks – we offer free team training as well as generous incentives and contests. Click here to join USANA Indonesia, or email us with any questions you may have. Disclaimer: If you have already been in contact with another USANA Associate, we encourage you to contact that individual for more information. Recently, Collette recorded a podcast with Simon Chan of MLM Nation. You can listen to the podcast here, or download it on iTunes. Collette shares her story of how she became involved with USANA, as well as offering several great business-building tips. USANA was recently featured on the Dr. Oz show in a segment on getting your kids to eat healthy. If you missed it, you can watch it here. Some great advice on business relationships and success. I really enjoyed this article about Thich Nhat Hanh’s book, How to Love, and even though it doesn’t have a lot to do with business, it is definitely worth a read. Last week, USANA made the announcement that USANA is now a trusted partner and sponsor of the Dr. Oz television show. This was a very exciting announcement for us as there are not many companies can claim to be a trusted partner, and the visibility that this offers USANA is unprecedented. The January 22nd episode of the Dr. Oz Show featured a segment on join health with some valuable tips on strengthening and maintaining your joints. You can watch the segment here. 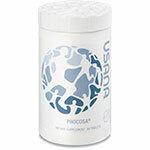 You can also see USANA’s Procosa featured on the episode. We look forward to seeing this relationship grow, and to the exposure that this partnership will bring for USANA and the healthy lifestyle that we promote. 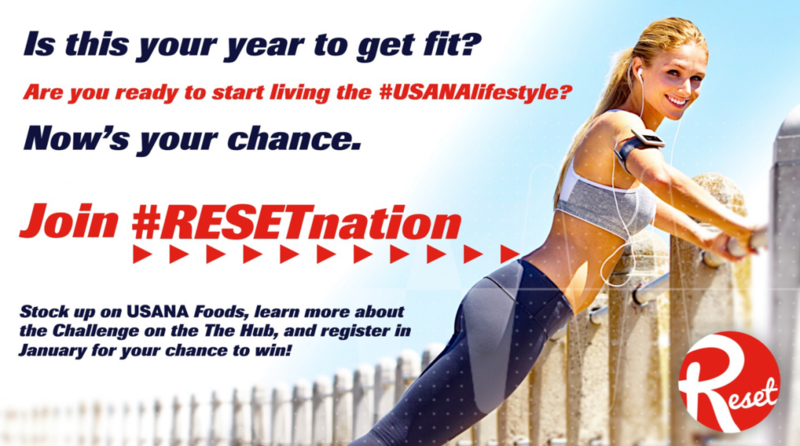 We are so excited about USANA’s RESET Nation Challenge contest that kicked off this week. Here are a few articles and tips to help you get started, and succeed in the new year. The first step is to opt-in for the 12-week challenge. Keep up to date with the latest RESET news by following the USANA Reset Facebook page. Start by setting some realistic fitness goals. USANA offers a great system for turning resolutions into results. In this article, Kathy Kaehler gives some tips on a fitness resolution you can keep. James Clear offers some excellent advice on creating and sticking with new habits. Need some motivation? Read about how exercise keeps us young. More tips on staying motivated and how to accomplish anything. Good luck with the RESET Nation Challenge, and have a great weekend. P.S. If you need more information on getting started with the Reset Challenge, or how to order products, please don’t hesitate to contact us. I hope everyone is having a great December. This week we lost a dear friend, Majid Mokhbery. 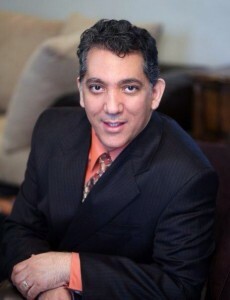 Majid was a leader in USANA, and a mentor and inspiration to so many people. He truly had a positive impact on everyone who came into contact with him. This What’s Up, USANA? article from earlier this year sheds a little light on the type of person Majid was. He will be missed. This is a great article that answers the question “What is USANA?” It shows how we are different, where we came from, and 5 things you should know about USANA. Can you spare 5 minutes to exercise? A new study shows that running for as little as 5 to 10 minutes per day can lower your risk of premature death. So many emotions after watching this video; just watch it and see the healing power of gratitude. Want to learn more about clean eating? 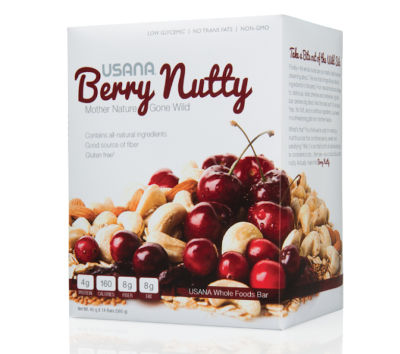 On that note, we are very excited about the release of USANA’s new whole foods bar, the Berry Nutty Nutrition Bar. This article and accompanying infographic delves into why we crave stories in marketing. This related article shows you how to effectively use stories in your content marketing. What can you learn from Steve Jobs about giving a presentation? Our job is to find the disconnected and connect them, to find people eager to pursue a goal and give them the structure to go achieve that goal. I’m currently reading Malcolm Gladwell’s David and Goliath. It’s a very interesting book, and I highly recommend it. He talks about how disadvantages can become advantages. I thought of the book while watching this inspiring video of a high school runner with MS. Take some time to watch it, it’s well worth it. Have a great weekend, and Happy Thanksgiving. I’m having a really tough time believing it’s already nearly holiday season, and this season usually means a lot of good food…sometimes too much good food. This infographic by USANA shows how much activity it takes to burn off the holiday meals. This great article by Darren Hardy shows how finding Paradise might mean just changing your perspective. This article got me thinking. Is it time to examine and possibly update your beliefs? Everyone experiences self doubt. Here are some ways to overcome it. Some very good, in-depth tips on connecting and marketing to friends via social media. The way someone else perceives what you do is a result of their own experiences (which you can’t control), their own tastes and preferences (which you can’t predict), and their own expectations (which you don’t set). If your choices don’t match their expectations that is their concern, not yours. A thoughtful message from USANA’s President, Kevin Guest.